As recreation on Mediterranean beaches became popular, keeping beaches suitable for turtles too became important. The more enlightened tourist destinations realised that the chance to watch and learn about turtles could be an attraction for tourists, and the resulting opportunity was seized especially in Turkey. At the tiny hamlet of Çıralı, the World Wildlife Fund in Turkey helped to develop ecotourism in ways that would engage people positively with turtles. Local produce is organic to avoid pollution and development is kept off the beach, which is patrolled at night to mark turtle nests and to avoid lighting that might divert hatchlings away from the sea. Tourists can even help guide late hatchlings to the sea at dawn. 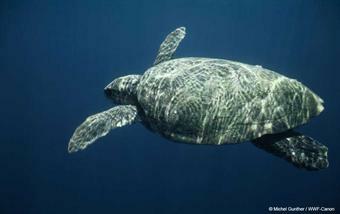 Other areas formerly more associated with mass tourism have modified their habits to embrace the interest in turtles. 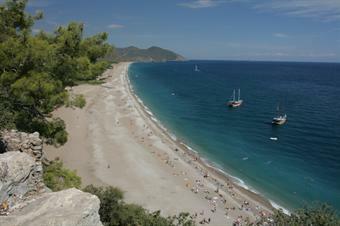 Iztuzu beach at Dalyan is a good example, there local hotels encourage turtle viewing and watching marine animals provides employment for boat crews. At this and other beaches there is research by the Sea Turtle Research Team at Hacettepe University (see link below). It will be good if more areas where there has been competition between people and wildlife can find ways to turn perception of threat into win-win opportunities. The European Environment Agency has a video explaining how eco-tourism has grown as a benefit for the community at Çıralı. Learn more about turtles at Dalyan, Belek and Patara, in Turkish and English, from the Sea Turtle Research Team at Hacettepe University. 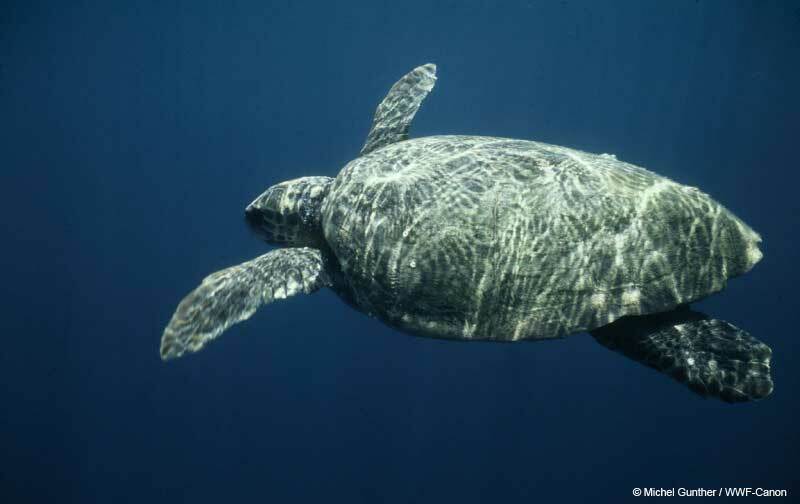 Integration of research using satellite tracking to show the repeated and hence predictable annual movements of mature turtles.